CH Mason's Fainthearted Fortune "Sasha"
Sasha is my best friend. She is now spayed and working her obedience. We have also started in Novice Agility! Watch for this young fireball in the obedience ring in 2002! The story of how Riverbank came to be, where we were, and where we are going. Some of the dogs produced by us, and those we loved. A Photo Album of a few of my favorite photos. 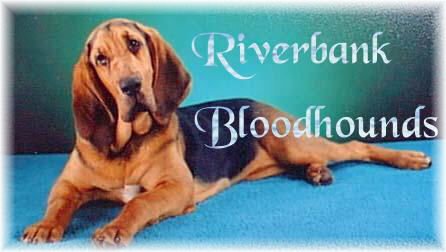 Not all Bloodhounds, but enjoyable just the same! Mason's Fainthearted Fortune pictured in different poses, some with her little girl, Corrie. The Masterpiece Litter photo is up on this page. 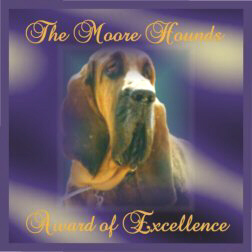 Ten little Bloodhounds all in a row! Links to other Bloodhound pages too! 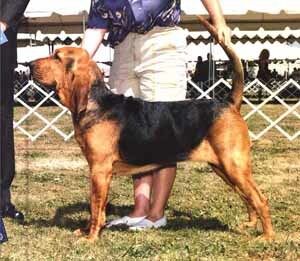 Here are pictures of the different colors of Bloodhound puppies and a brief explanation of the colors. The Rainbow Bridge is the place where our animals go to run and play in the sunshine while they await our coming to cross the bridge with them. 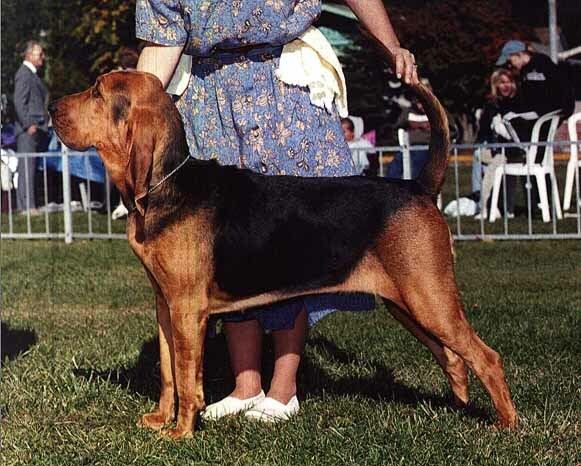 So You Want A Bloodhound? 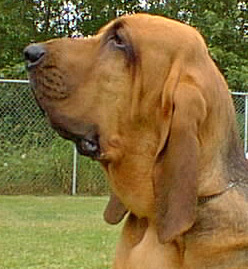 - Please read this page before you decide to get a bloodhound! 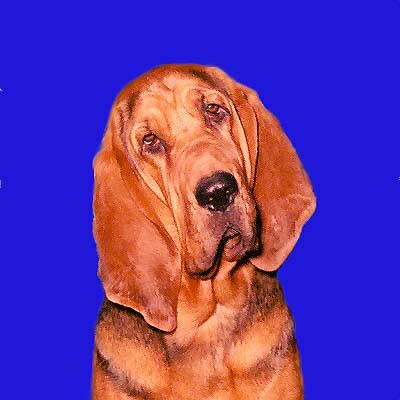 Pacific Rim Bloodhound Rescue Committee - BLOODHOUNDS AVAILABLE FOR ADOPTION!